The upcoming Porsche Taycan has been spotted going under final testing ahead of its first public appearance in September this year. 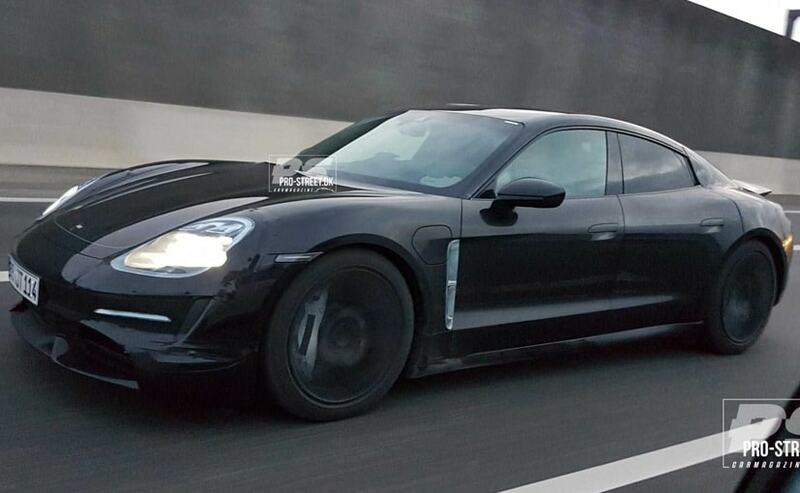 The upcoming Porsche Taycan has been spotted going under final round of testing. The Porsche Taycan has been spotted going under final round of testing. It looks closely related to the Porsche Panamera in silhouette. It will make its first public appearance in September, 2019. We already have told you that the purely electric Porsche will make its first public appearance in September this year and will be launched in the global markets by the end of 2019. As the company is gearing up for the unveiling, the preparations seem to be at its final stage. The upcoming Porsche Taycan has been spotted in Copenhagen and looks like it's going under final round of testing. The test-mule has been spotted wearing minor camouflage giving us a hint of being close to production. 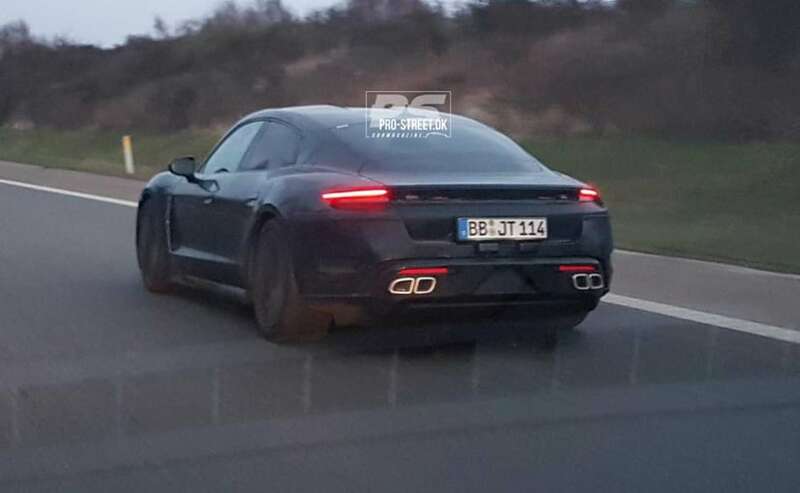 The Porsche Taycan looks closely related to the Panamera in silhouette. The big relief is that the Porsche Taycan has a conventional design which surely should make it more acceptable among buyers and suitable even for daily commutes. The Taycan is very much a four-door Porsche and in silhouette looks closely related to the Panamera with a tapering roofline. The front has the same protruding nose and the iconic headlamp design and honestly, Porsche sport cars or sedans have never been recognised with a grille in prominence and clearly doesn't have any relevance in this electric model. At the rear it has the wide track tail with an elongated light strip running its width, in line with the new-age Porsche models. However, there are bits which are still hidden, for instance, the circumference of the headlamp or the rear diffuser. But that wouldn't make a huge difference in the final design. The new Porsche Taycan will be driven by two permanent synchronous electric motors that will churn out 600 bhp and the high voltage lithium-ion batteries powering the motors have enough juice for 500 kms. The motors would also store the energy and charge the batteries during deceleration or lateral movements which at times can drive the car without actually using the batteries. It will take under 3.5 seconds for the Porsche Taycan to do a 0-100 kmph sprint and through fast charging, it will just take four minutes to top it up for 100 km.